A new round of XYROOM starts on the 1st and I’ve got a looksie at a few items you can nab from this awesome event. NousVous has this bright colorful tank and sweats combo out. I love the laidback vibe I get from wearing this and I’m a big fan of yellow so I just had to show it off. 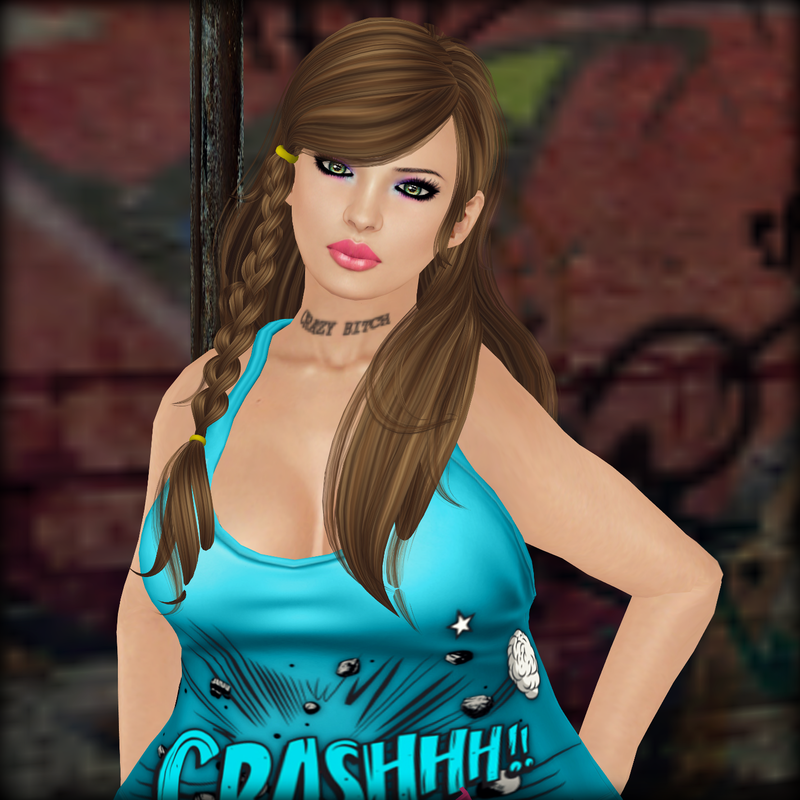 You know you want to get your own crashtastic look so be sure to grab this. Also, Sugar has out this candylicious skin complete with glossy bright pink lips and a softer purple shadow. This skinnie comes in a teeth or non teeth version but since I’m anti SL teeth, I decided to show off the non teeth one. If you’re looking for a new skin at a discount price, be sure to head on over to demo this one once the round opens.